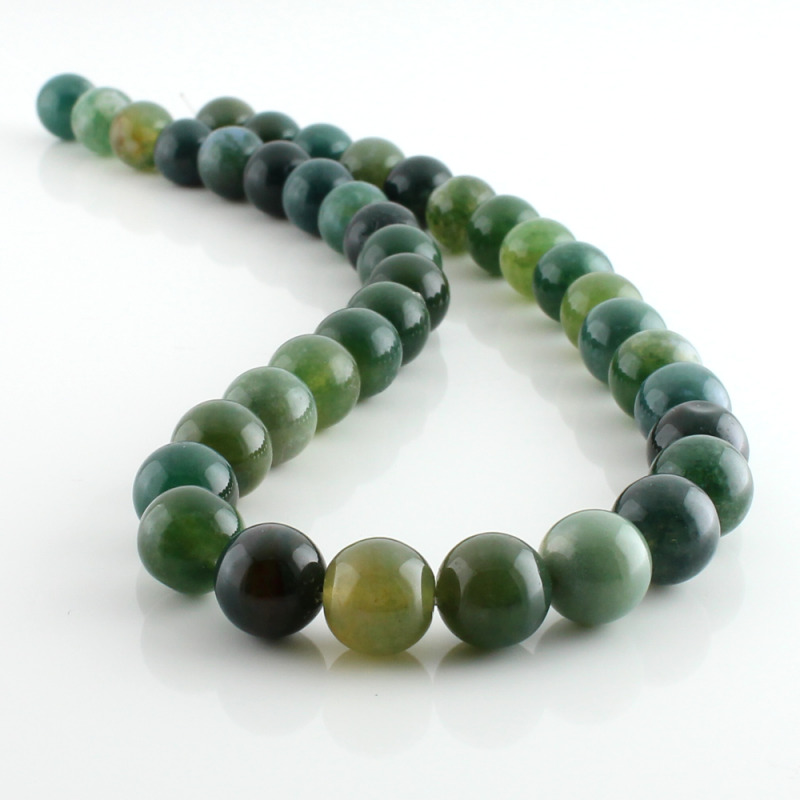 Natural Moss agate round beads, dark color. 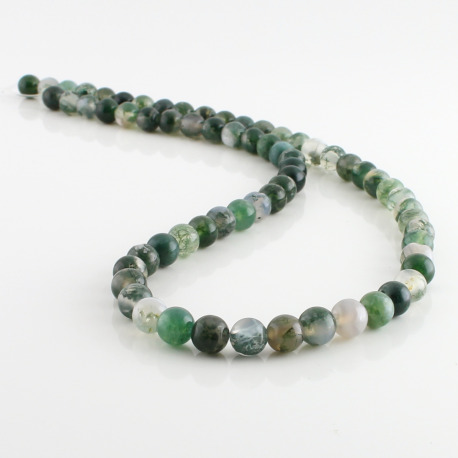 Moss agate holed rond beads into strands approximately 40 cm. Moss agate is a semi-precious gemstone that contains very similar to moss internal inclusions, its predominantly natural color is green. 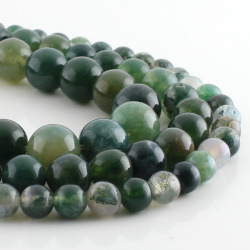 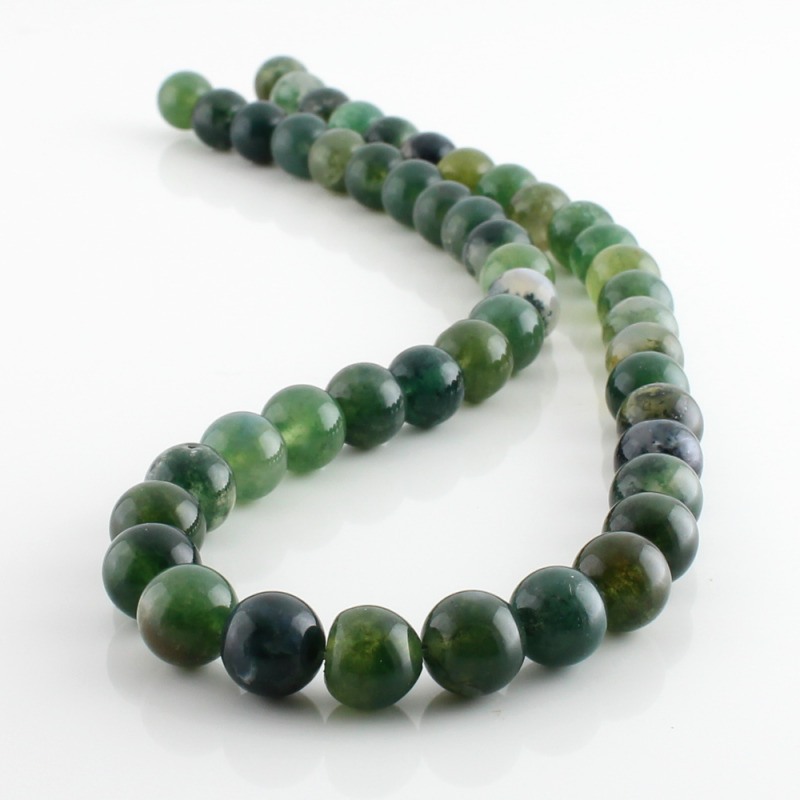 There are several sizes of moss agate round beads available.